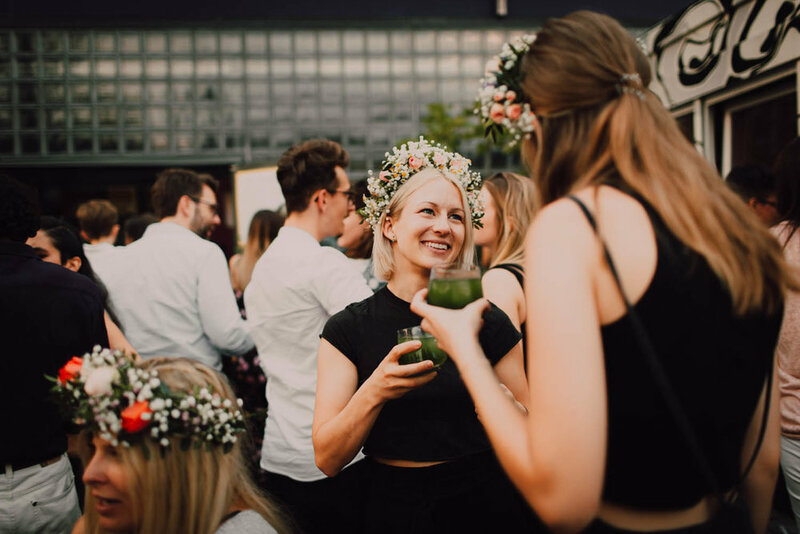 These three brands booked »We Are Flowergirls« for their Mid Summer Celebration — we had an awesome day with all the guests, doing our flower-workshop, helped them with decorations and built one of our custom flowerwalls for some selfies! 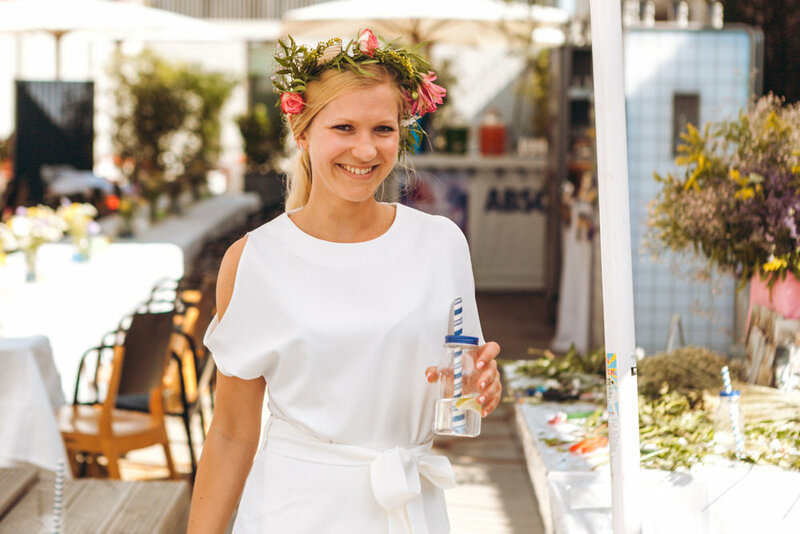 On this magical summerday, the Flowergirls were booked by ABSOLUT VODKA to decorate the party-area and transform their special midsommar-guests into floral fairies. 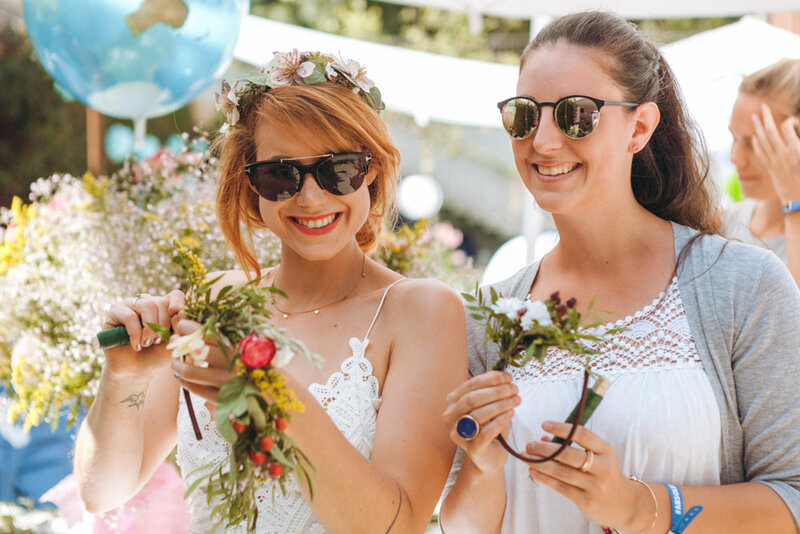 »We Are Flowergirls« brought some colours into this Fête Blanche! 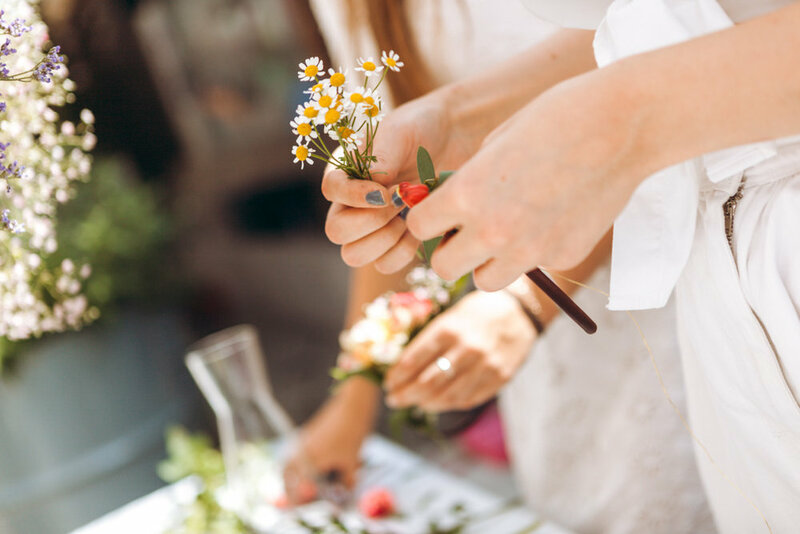 Flowergirls putting their magic into making flowercrowns. 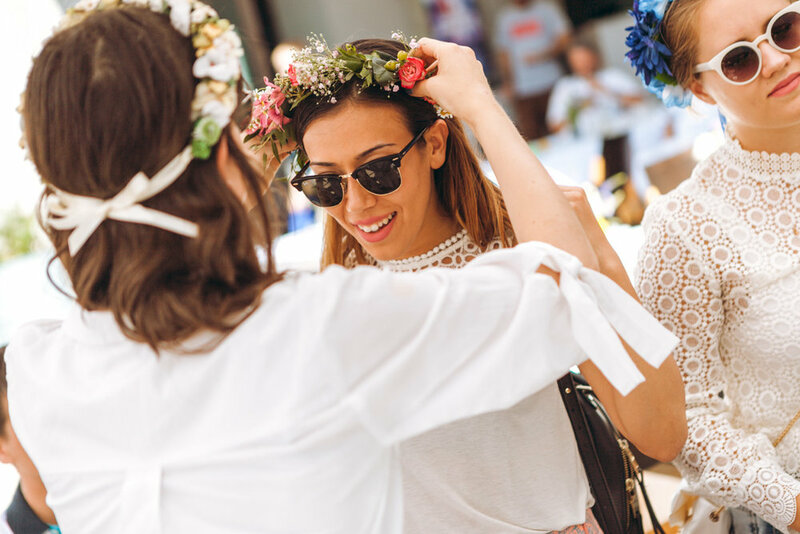 The flowergirls can even give you a flowercrown workshop. No worries, we are always by your side to help! 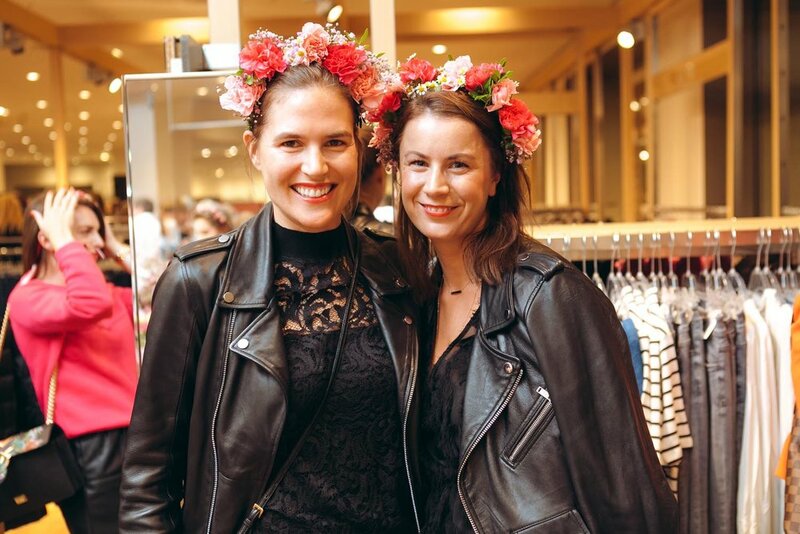 500 Bloggers & Influencer got flowered up by We Are Flowergirls at the Marina Hoermanseder x Peek & Cloppenburg Launch Event. 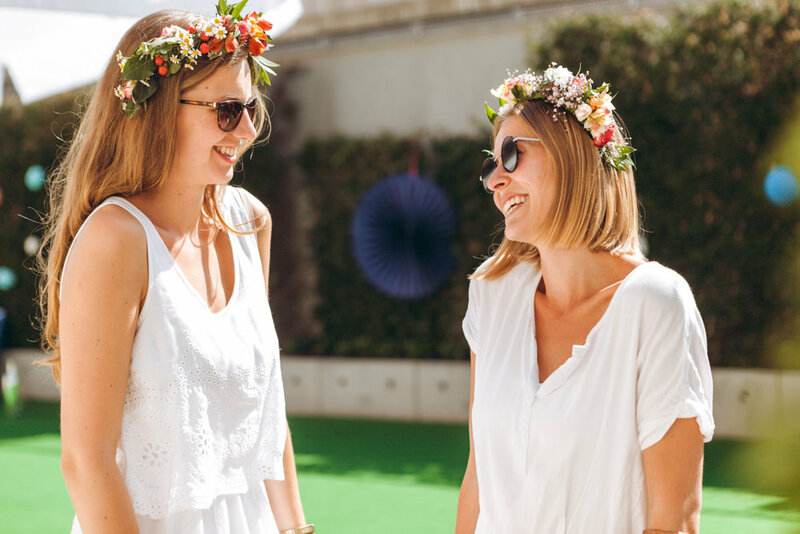 Wild Flowerqueens with their Flowercrowns. 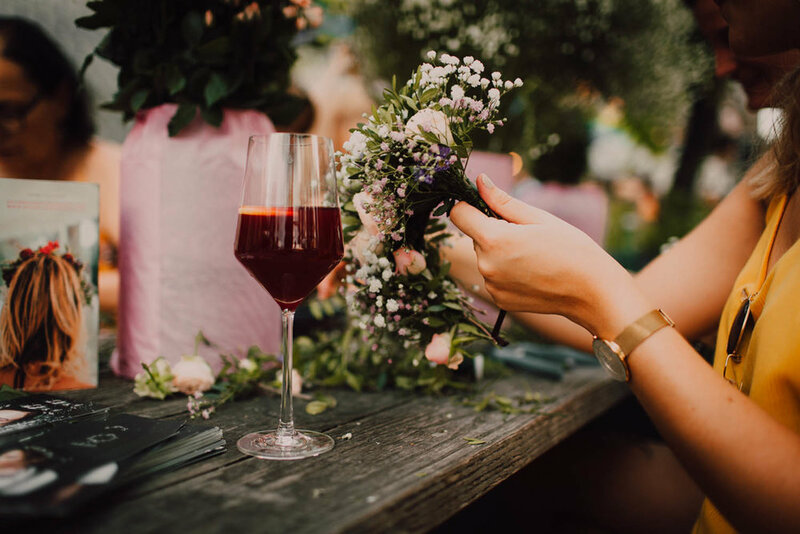 Flowercrowns and flowergirls in the making. More is more! 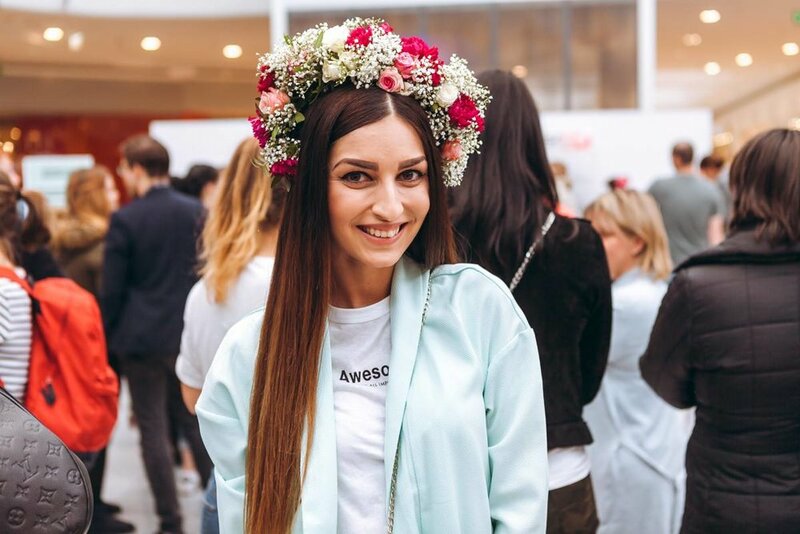 Zoe Karapetyan happy with her XXL Flowercrown. 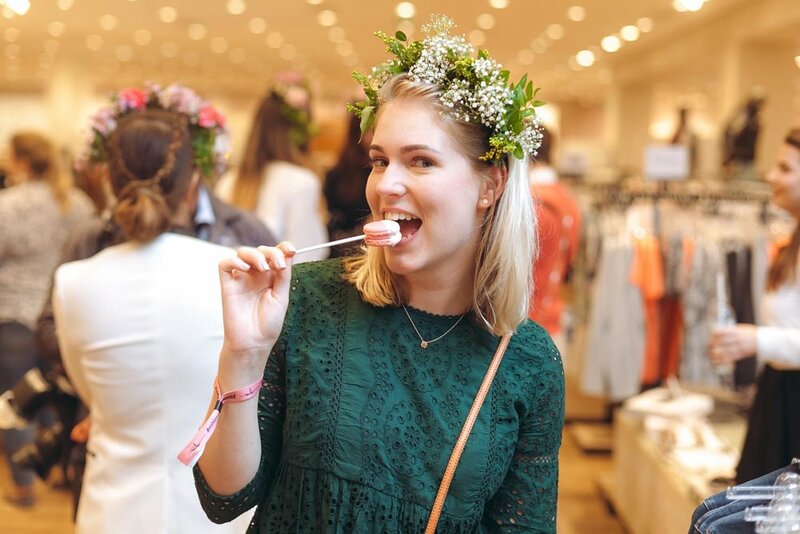 It’s the biggest Austrian shopping day of the year – it’s WOMAN DAY! We were asked to do some customer entertainment at Plaza SCS Vienna. 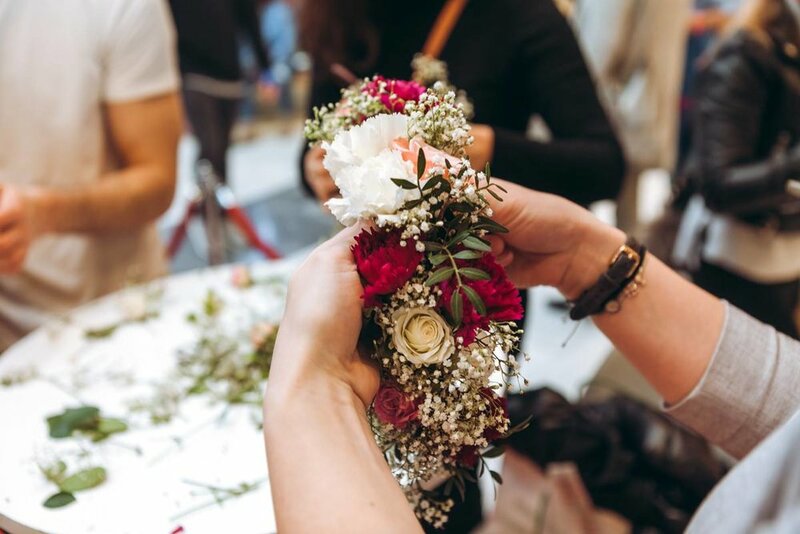 To flower up the SCS customers for one day, 12.000 Flowers were transformed into magic flowercrowns by our team.